HGK Global GmbH and 11 other investors provide the equity for Acquisition and will be the new shareholder of the Pasta manufacturer. Lemgo/Hamburg/Erfurt, 06. February - The Hamburg Lampe Privatinvest Management GmbH take the Erfurter Teigwaren GmbH, biggest and oldest Pasta manufacturer in Germany, as the majority shareholder with retrospective effect from January 1st 2015. The traditional company exists since 1793, employs approximately 100 people and generates annual sales of around 40 million euros. 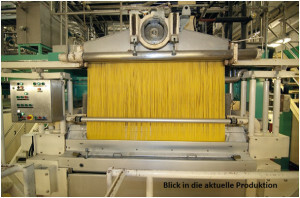 The company concentrates on the production of private label and pasta for the processing industry. Lampe Privatinvest bought the shares from the Familyholding “emphor GmbH & Co. KG”. In the future the holding will zoom in their backery store chain “frischback” with 150 stores. Gerhard Gabel, managing director of the Erfurter Teigwaren since 11 years, will keep his position in the company and takes care of continuity in the management board. Gabel will be also become a minority shareholder. “I’m pleased to have Lampe Privatinvest as a strong shareholder. The shareholder background and the characters of Lampe Privatinvest mesh perfect for our company and open up new possibilities for development", Gabel says. Victor Antunes, managing director of Lampe Privatinvest, is looking forward to go along together to the next development phases of the Erfurter Teigwaren: “The excellently positioned company offers development potential due to rising demand pasta in Germany. We are pleased to support the further development of the company together with the management”. The parties maintained silence about the purchasing price. Based in Erfurt Erfurter Teigwaren is the largest pasta manufacturer in Germany with an annual output of 50,000 tons. The specialist for private label supplies the food retailing in Germany and neighboring countries. In addition, products for the processing industry for finished goods/convenience food will be prepared. The company with 100 employees is able to produce over 100 different pasta shapes with and without egg. 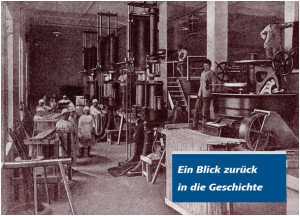 The company's history goes back to 1793, making the Erfurter Teigwaren to the oldest Pasta producer in Germany. In 2001, Mr. Alfred Heyl joined the company. 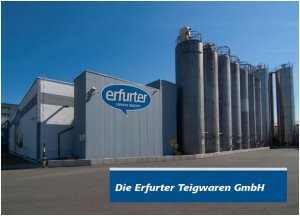 In 2011 the emphor GmbH & Co. KG, which belongs to Mr. Heyl, completely took over the Erfurter Teigwaren. Already in 2004 Mr. Gabel became the managing director and tripled the production volume and stabilized the market position of the pasta producer by providing customer orientation, sustainability, quality and food safety in the focus of production. Lampe Privatinvest provide for a long term private equity for the German middle class and goes into minority and majority interests. Lampe Privatinvest is funded by select group entrepreneurial embossed private investors and is part of the Bankhaus Lampe Gruppe Bankhaus Lampe is completely owned by the Oetker family.